Windows 10 is coming out tomorrow. You want to install the latest Windows version to have the new OS features but you found out that one of your computer is running Windows 8 Enterprise edition which is not covered by the free Windows 10 upgrade. If you don’t need the Enterprise features, you can decided to downgrade your Windows 8.1 Enterprise edition to Windows 8.1 Pro to have the free upgrade to Windows 10. 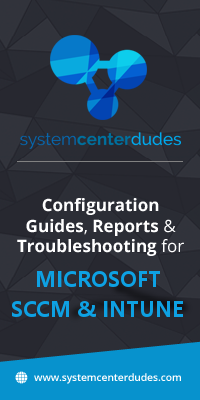 This post will show you how to downgrade / change Windows edition from Enterprise to Professional in a couple of steps. This procedure works for Windows 7, 8 and 8.1 and you won’t need to reinstall your software and apps. The whole procedure should take about 30 minutes. The computer will now reboot and once restarted you will have a Windows 8.1 Pro computer. The next step is to update you PC using Windows Update. Once all updates are installed, you just have to wait for your computer to receive your free copy of Windows 10. Bonus tip : Once the downgrade is successful you can safely delete the Windows.old folder to free up some hard disk space. See this link for detail on how to do this. Have Windows 7 Professional, and trying/failing to reinstall either 8.1 Pro (using a disc provided by HP, and a DPK bought on internet), or 7 Professional (using an ISO image, burned to DVD, and DPK, also bought on internet). Repeated fails at some point, with message “Windows cannot install required files. The file may be corrupt or missing. Make sure all files required for installation are available, and restart the installation. Error code: 0-x80070017”. In addition to the file used to burn the Windows 7 install DVD, there were 5-6 other folders that came with the download, so I don’t know if/how these might be accessed, or if the are the “corrupt or missing” files referred to in the error message. 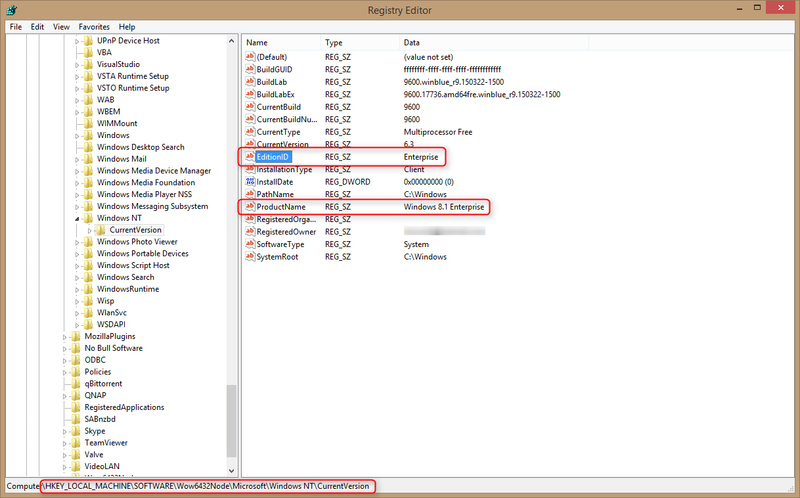 If using this method on Windows 7 Enterprise, just remember that the registry needs to be changed to “Professional” …NOT pro! Just wanted to add some additional info. Following the instructions above, I was using Win 7 SP1 Enterprise and wanted to downgrade to Pro, but install program complained i had installed and was using a later version of Win7. Tried building and using Win7 Pro slipstreamed with SP1, but install program still had the same complaint. Then uninstalled SP1 and used the plain Win7 Pro ISO and that worked. Able to downgrade to Pro (minus a couple of DLL/file errors during the install). Finally, reinstalled SP1 afterwards. Thanks for the instructions! 1. I need to downgrade from Windows 10 Enterprise to Windows 10 Pro. 2. Actually, what I **really** need is to downgrade from Windows 10 Enterprise Evaluation to Windows 10 Pro. (I have a valid Windows 10 Pro key). 3. I am some 3500 miles from the machine I need to downgrade, so I would like to do this using Teamviewer or remote desktop. Do I have even a snowball’s chance in Hell that the procedure you suggest will work? Using either teamviewer or remote desktop, I can mount a Win 10 DVD i have on the remote machine. So all the steps ‘make sense’ and can be done. Thank you for any informed opinion you might be able to share. So I need to downgrade ‘back’ to Win10 Pro. And I need to do this without losing the installed Apps, because my mother can’t really install Teamviewer. Last question: Rather than mount the installation DVD remotely, could i just mount the .iso on the remote machine? I’m hoping that in your above procedure, the machine ejects the installation media before it reboots (because whether the machine mounts an .iso image or mounts the DVD on my desktop, the DVD won’t be mounted after the reboot. Is the same downgrade process applicable for Windows 10 Enterprise to Pro? Can this work with an OEM Dell key ? I used this to get windows 10 to upgrade to 1511 it allowed me the option to update after thanks!!! a ton didnt need to reinstall! I changed the information in Registry, after that i did reboot the windows. when Windows started I downloaded the Windows 10 Web Installation file and it’s started and it’s downloading now. it’s possible to install the windows 10 Directly after changing the Registry information without installing Windows 8 Pro ? or it will make a problem?? Since you installed windows 10 like that, did you have problems ? 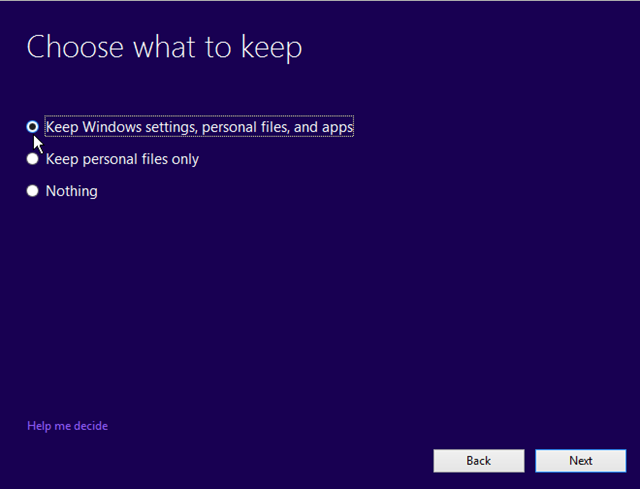 Can I downgrade from win 8.1 enterprise to windows 8 Pro volume license? I can’t seem to make it work. I want to then go to win 10 pro. There’s no such thing as a volume license for Win7/8/10 Pro. Volume Licenses are just for Enterprise and Education customers. There are OEM licenses for Pro – that’s what Dell/HP/etc buy to make machines with. But regular customers can’t get those of course. That’s incorrect. 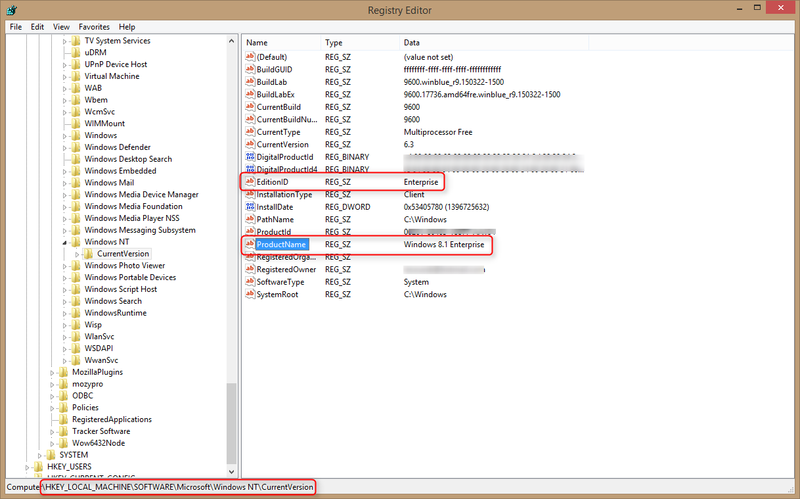 Windows 7/8.1 Pro editions can be licensed with MAK and KMS methods using corporate Volume Licenses. Please help.. It shows me only 2 options after I insert product key for professional. I couldn’t get options for applications. Please help. 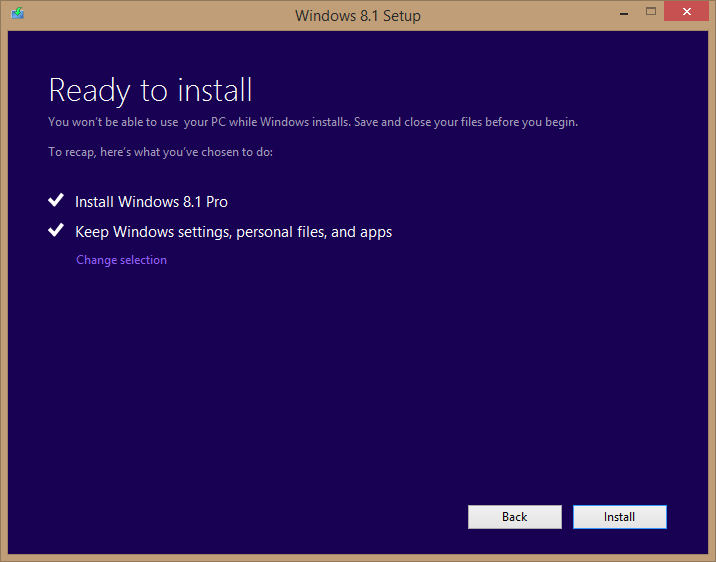 Can i install windows 10 for windows 8.1 enterprise from a installation media ? Excellent how-to. Everything worked perfectly for me changing from Windows 8 Enterprise to Pro. Thank you! Hello, great post!. In my case I have a Windows 8.1 Enterprise product key instead Pro. Does it work with this one? 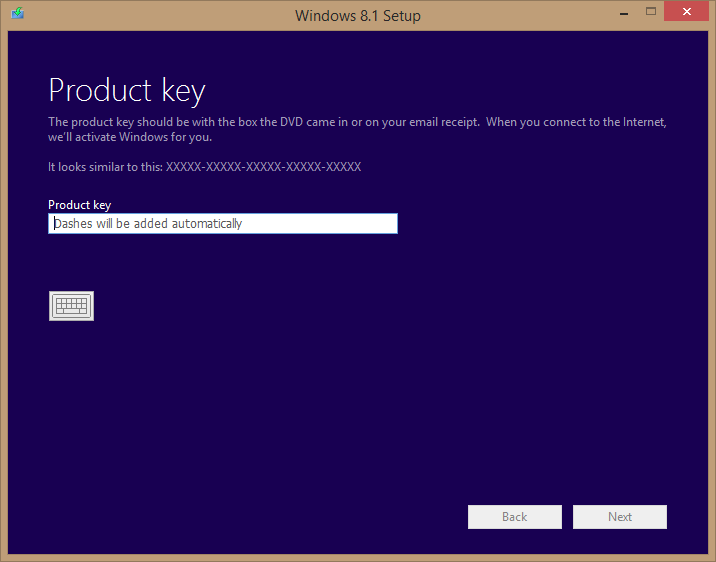 or its necessary a valid Windows 8 Pro product key?. Should I buy one?. Thanks. Do you know if it is possible to change already upgraded/installed Windows 10 Enterprise to Windows 10 Professional (or Education)? Ano: "Itse kuitenkin hyÃ¶kkÃ¤isin vain HeikkilÃ¤n paikkaansapitÃ¤mÃ¤ttÃ¶miÃ¤ juttuja kohtaan, enkÃ¤ niinkÃ¤Ã¤n henkilÃ¶Ã¤ tai kommentointimahdollisuuden poistamista. "TÃ¤ssÃ¤ on kysymys vain HeikkilÃ¤n perusteluista kommenttiosaston sulkemiseen. Onhan se ihan eri asia sulkea kommentit pois esimerkiksi hÃ¤irikÃ¶innin takia.Mielenkiintoinen sanavalinta tuo "hyÃ¶kkÃ¤ys". Ei kai tÃ¤ssÃ¤ ihan sotaa kÃ¤ydÃ¤, vaan kritisoidaan jonkun toimintaa. Is there a way to downgrade to Pro from Enterprise without the installation media? If not, how can I get the installation media for free? You need the installation media. Is there any difference this time between Windows 10 Enterprise and Win 10 Pro other than license agreement? Do Microsoft have an official comparison chart?